Central Accommodation in a Natural Setting - Just a minute's stroll to Gallery Walk with its cluster of Cafes, Restaurants and Collectable Shops. 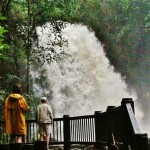 When you stay at Amore you can walk to a Waterfall or stroll to 3 National Park Bush Walking Trails and much much more. We have developed a series of self-drive and walking maps to enhance your experience. Just want to relax and unwind - we have directions for that as well. Gallery Walk – A minute’s stroll away with its cluster of Cafes, Restaurants, Collectable Shops, Art Galleries, Glass Works, Ceramics, Jewellery, Fudge, Chocolates, Gourmet teas/coffee beans, Cellar door outlets, Bric-a- brac, Fashion and pre-loved Vintage and Kitsch and the Enchanting Fairy Shop for fairytale fun. Waterfalls – Curtis Falls Waterfall is but a 10 minute stroll away. This is a fascinating walk where you can view the waterfall cascading down over the basalt rock face to the rock pool below. See our Walk to a Waterfall Post. 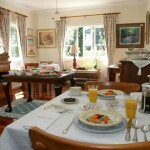 The Dining Room at Amore B&B is there for your convenience if you elect to dine in. Let us know when you want to use the Dining Room and we will ensure that all necessary crockery, cutlery and glassware is available. No need to wash up or clean up after you finish, just head off to your room and we will do the clean up. Boutique Brewery – Across the road from Amore B&B is the Boutique Brewery. If your passion is beer, we have got you covered. 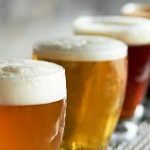 If you wish to explore the the various Breweries and Distilleries in the region go to our Brewery and Distillery page. 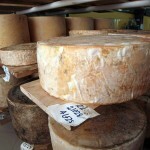 Cheese Factory – Directly opposite Amore B&B – in conjunction with the Heritage Wine cellar door. A Whole Region to explore and experience. 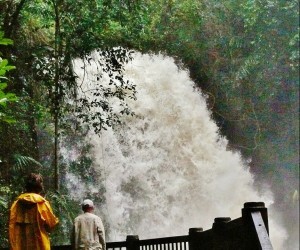 Waterfalls – Walk to a waterfall. Curtis Falls Waterfall is but a short stroll away. See our POST or MAP GUIDE for details or pick up the printed version which is available in your room. 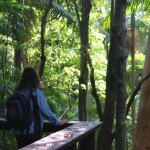 National Parks – Three bush walking tracks are within a short walk from Amore B&B Mt. Tamborine. See our guide to the Best Tamborine Mountain Walks taking you through rainforest with large strangler figs, piccabeen palm groves etc. Or go to our POST or MAP GUIDE for the Olde Eagle Heights Walk. 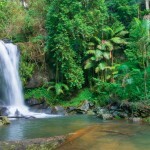 Tamborine Mountain Botanical Gardens – Covering 11 hectares it consists of exotic species and the natural rainforest of Tamborine Mountain developed over a period of 25 years. Entry into the gardens is free. Open daylight hours 7 days per week. The gardens are much talked about by our guests and do tick all the boxes for peace, beauty and relaxation. 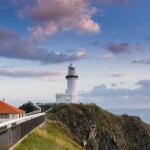 A Country Drive to Byron Bay – Go forth and explore the scenery, lookouts, waterfalls and the villages dotting the Country Lanes that wind their way to the magical coastal region known worldwide simply as Byron. See our POST or MAP GUIDE for details. Harvest Trail – Vegetables in season – pumpkins, spinach, beetroot, avocados, rhubarb and the list goes on. Fill a bag with fresh, healthy and delicious green leafy vegies. See our POST or MAP GUIDE for details or pick up the printed version which is available in your room. Adventure Tamborine Style – A stay on Tamborine Mountain gives you easy access to many exciting and spine- tingling activities that are all within one hour’s drive. 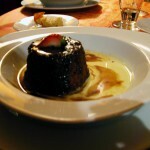 See our recent POST or MAP GUIDE for details. 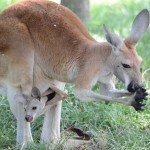 Wildlife and Marine Parks – Seen a Pademelon or a flock of brightly coloured Lorikeets lately? Heard the song of the Albert’s Lyrebird or the call of a Cascade Frog? What about a Platypus, a Glider, a Richmond Birdwing Butterfly, or a Regent Bowerbird. See our POST or MAP GUIDE for details. Theme Parks – (Video No 4) Movie World; Wet’n’Wild; Outback Spectacular; Paradise Country; Dreamworld: 25 minutes away.It is an easy drive from Amore B&B to these fun filled destinations. See our POST or MAP GUIDE for details. In your own Backyard – Escape to the country and discover the quaint villages, hamlets and settlements in your backyard. See our POST or MAP GUIDE for details. Wineries – There are a number of highly regarded and respected winery outlets located on Tamborine Mountain. 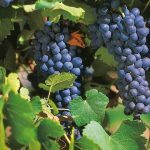 Go here for Local Winery Tour Map or follow this link for the full Scenic Rim Winery Experience. Day trips from Amore B&B – you may be surprised at some of the itineraries we have developed — see our self-drive tours and walking trail maps on our Day trips and Itinerary Page. 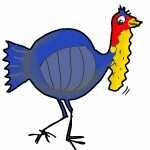 The Brush Turkey knows the way. Head up the Oxenford exit ramp, and veer right through a set of traffic lights. Down the ramp and through a second set of traffic lights.Straight ahead and you will then be on the road to Mt. Tamborine. Follow the Oxenford-Tamborine Road for 20 minutes.Upon reaching the top of the Mountain, you will come to a roundabout. Please turn right here (3rd exit).There are shops, cafes, and the like on both sides of the street. You are now in Gallery Walk. Continue on Gallery Walk for 700m, you will reach another roundabout. Go straight ahead.We are the third property on your left immediately after this roundabout. Kay and John look forward to welcoming you.